Since my Christmas board is the board I pin to most frequently these days, I thought I’d try another Christmas craft. We decorate these ornaments, using paint, with the kids at work. It’s an easy craft that always turns out. 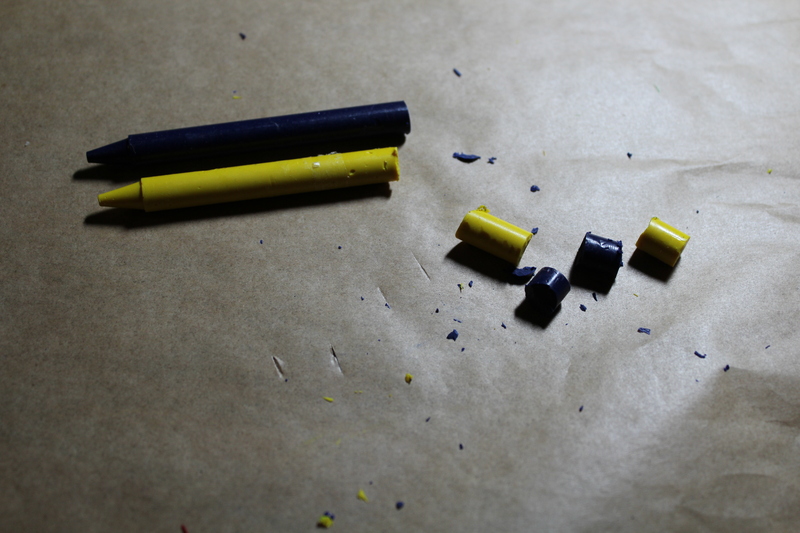 But awhile ago I pinned this…the same idea as the paint, but it uses broken crayon pieces instead. 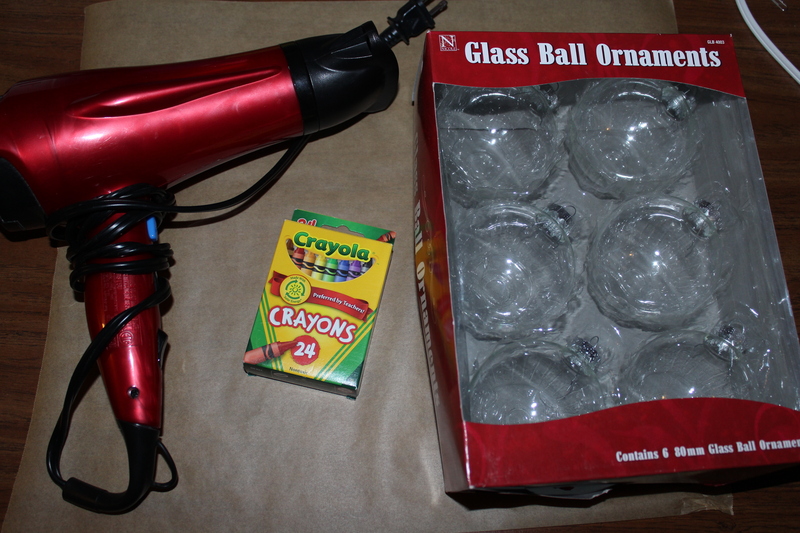 You need glass ball ornaments, crayons, a hairdryer, knife to cut crayons. And having a pair of gloves could be useful! 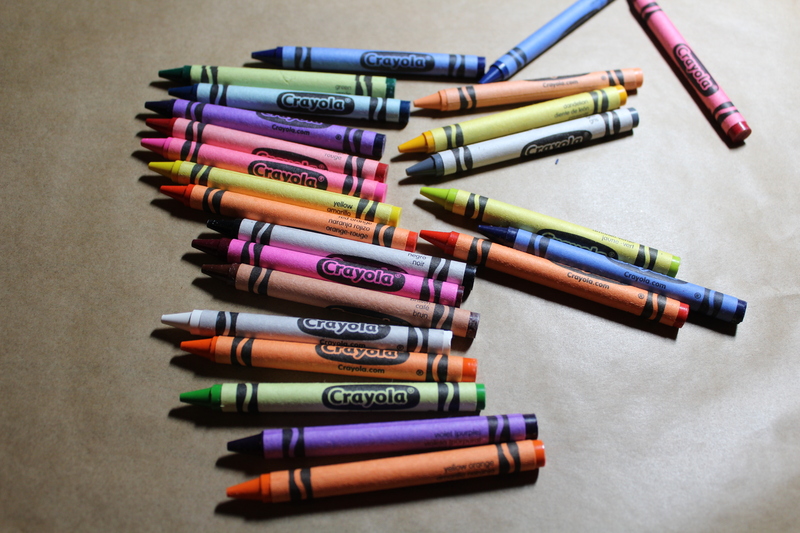 It’s recommended to use 4 or 5 pieces of crayon in each ornament. 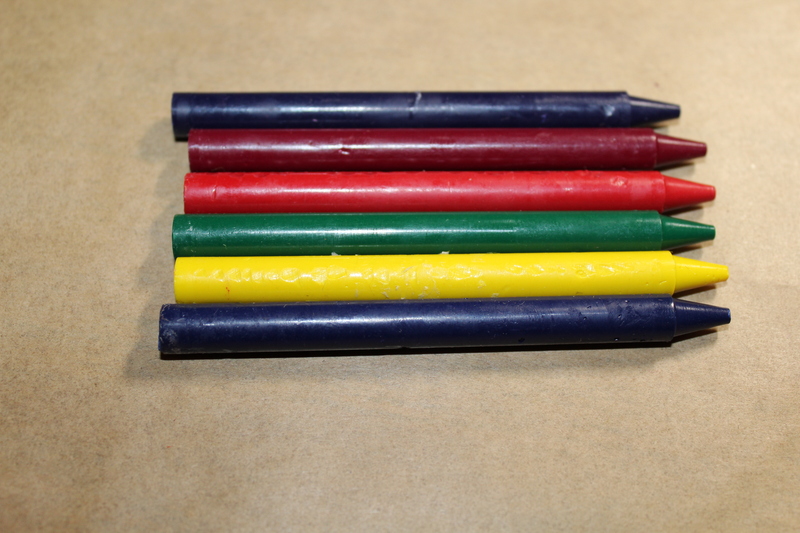 Now you hold the ornament with one hand, and hold the hairdryer in the other hand, directly underneath the crayon pieces, to melt the wax. It takes a minute for the wax to start to melt. Swirl the wax around to make designs or to cover the inside of the ball completely (this is what I did). I wore knitted gloves to hold the ornament, which helped as the heat from the hairdryer makes the ornament hot to touch. 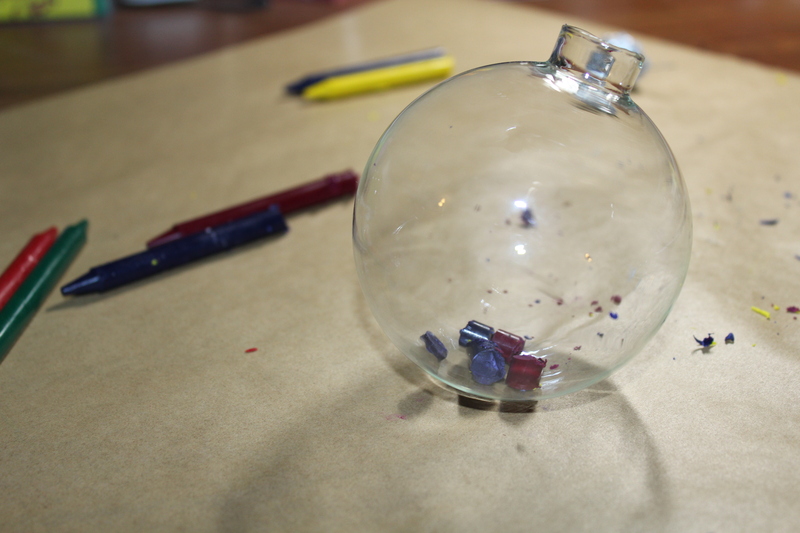 I wish I had bought an extra box of ornaments…next time, I would experiment with the different colors. I would also make some with just a stripe or two of wax swirled on the inside. 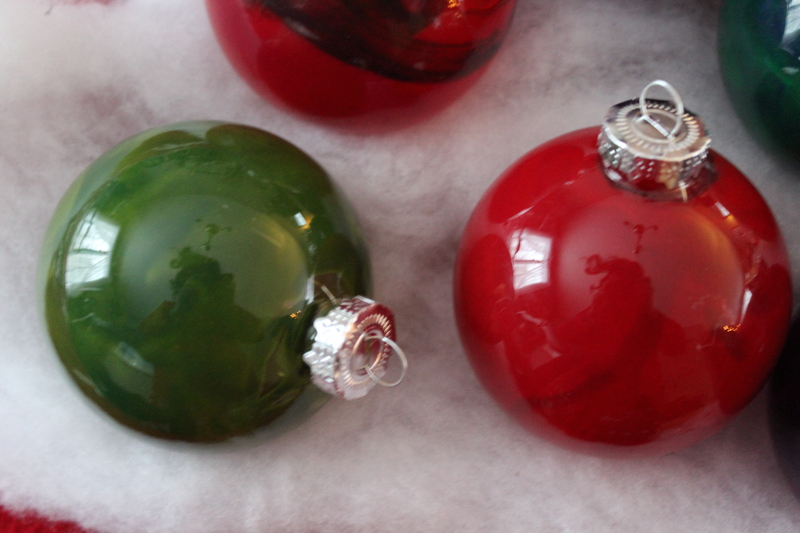 What is your favorite Christmas craft? 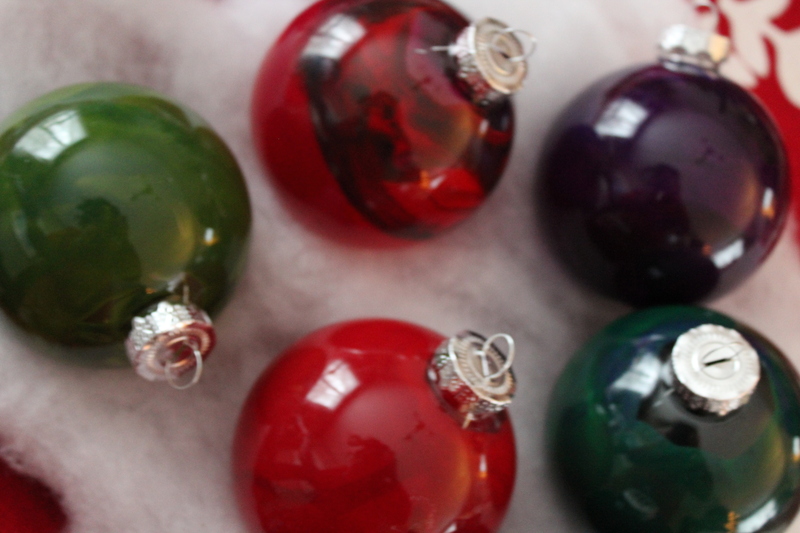 Love the vibrant and glossy look of these ornaments.